Last year's coconut key lime π was by far one of the best pies I've ever eaten, but I have since developed a slight aversion to the taste of coconut. This year I wanted to try replacing the sweetened condensed coconut milk with a sweetened condensed cashew cream, try some aquafaba in the graham cracker crust to see if it helps hold it together better, and see if I can't come up with a better whip cream for the top that holds its shape and is more fatty than sugary. I also wanted to keep the recipe's structure the same as traditional key lime pies as much as I could, substituting individual ingredients out with vegan ones, as opposed to trying to recreate a whole new type of key lime pie without eggs. Microwave the earth balance and aquafaba together for 10π seconds (~31). Pour in the sugar, pulse a bit more. 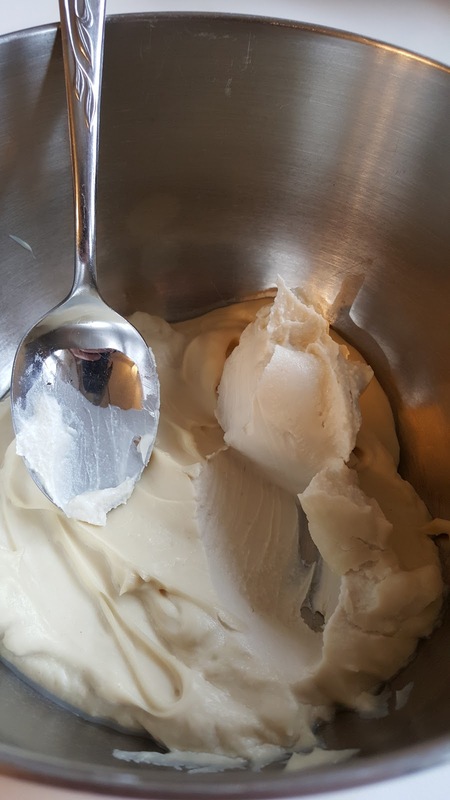 Pour in the melted butter and aquafaba, pulse until well combined. Dump it all into the π plate, and moosh it to the sides. 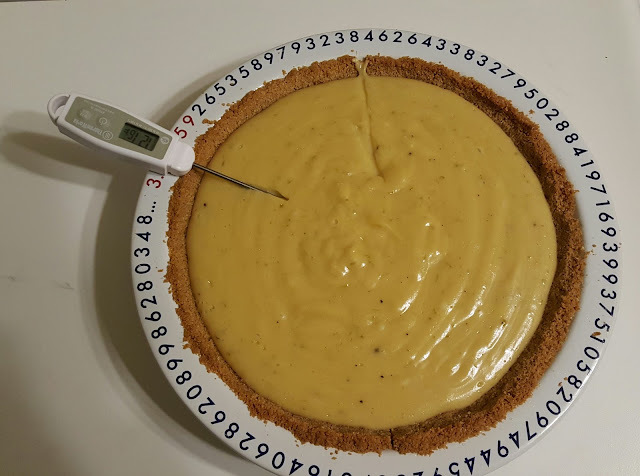 Bake at 2π radians (~360F in degrees, or ~182C) for 3π minutes (~9m), and set aside to cool. 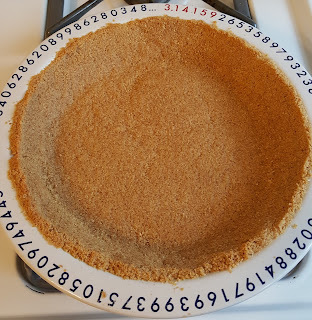 The graham cracker crust definitely held together more with the aquafaba in it. Maybe a bit too much. I think with the aquafaba that it's not as necessary to pack the crust as much as it is without it. If you like a crust that is less crumbly, aquafaba's for you! I made this a few hours ahead because it takes quite a while to condense. 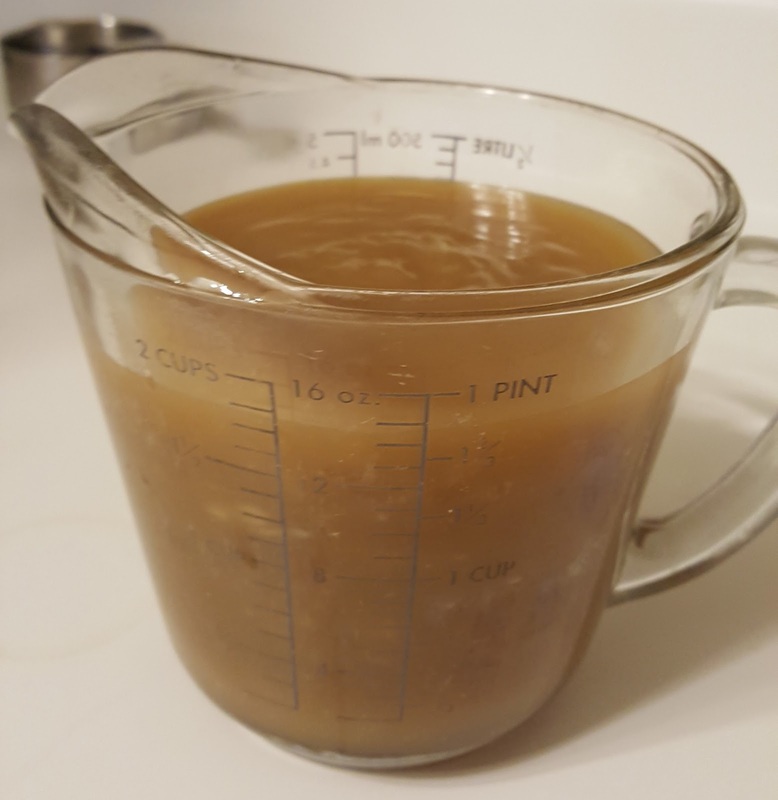 I wanted to give it a chance to cool, so that all of the pie filling was cold when I mixed it all together to prevent any chance that the agar might setup outside the oven. I threw it all into the vitamix and blended on the highest speed for π minutes (~3m, 8s, the temperature at the end of the blending was 124F/51C). After it was thoroughly blended, I put it into a medium saucepan on medium-low heat (right at π on a dial that goes from 1..7). 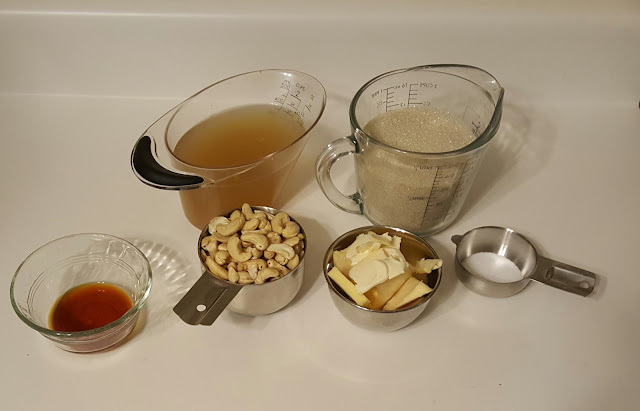 Stirring every few minutes, I let it cook for about 15π (~47) minutes, until there was about 5π ounces of reduced, smooth, ever-so-slightly nutty sweetened condensed cashew milk. I set that aside to cool completely, and eventually moved it into the fridge. 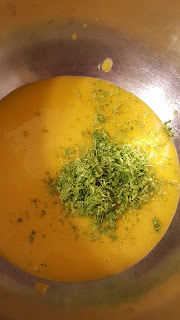 Traditionally, the filling in a key lime pie is sweetened condensed milk, egg yolks, lime zest from key limes, and lime juice. 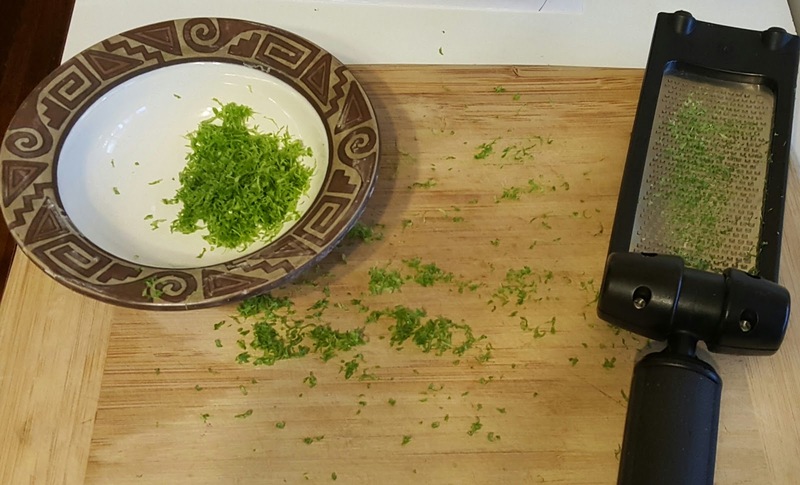 I don't have access to key limes, so I was stuck with Persian limes. I also didn't want to use egg yolks, obviously, so I went with The Vegg, which is an amazing vegan egg yolk product. One thing it doesn't do, however, is gel when cooking. To fix that, I decided I would try adding in some agar. I didn't know if the acid in the filling would prevent the agar from setting up, or even how much agar to use, so I grabbed the only agar I had and just winged it. The agar I use is Super Agar from modernist pantry. Before starting, all the ingredients, including the crust were cool. The oven was preheated to 360F/182C. I blended the cold water, vegg, and super agar together in a small blender for 10π (~31) seconds, then shaved off some zest. 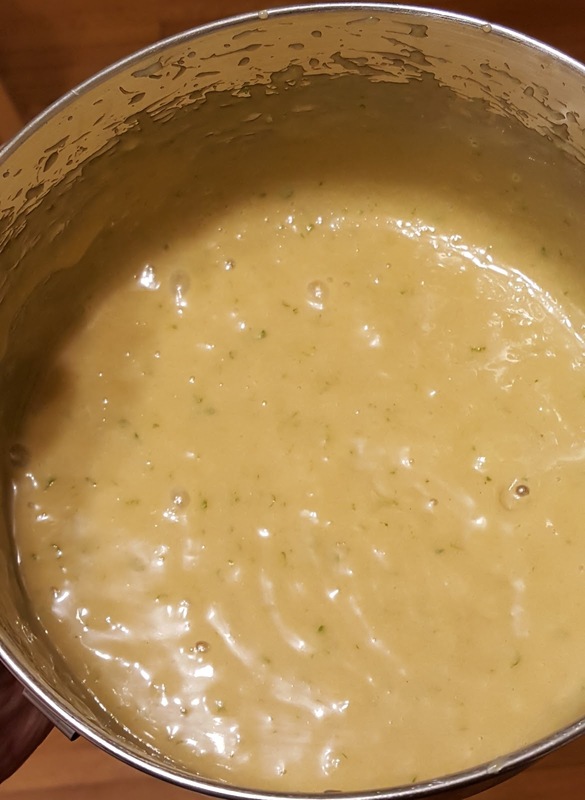 Into a small mixing bowl, I combined the vegg mixture, lime juice, cashew milk, and vanilla. 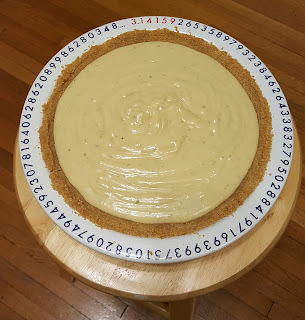 I blended that for π (~3) minutes at high speed with a hand mixer, until fluffy. Then poured it into the prepared crust. 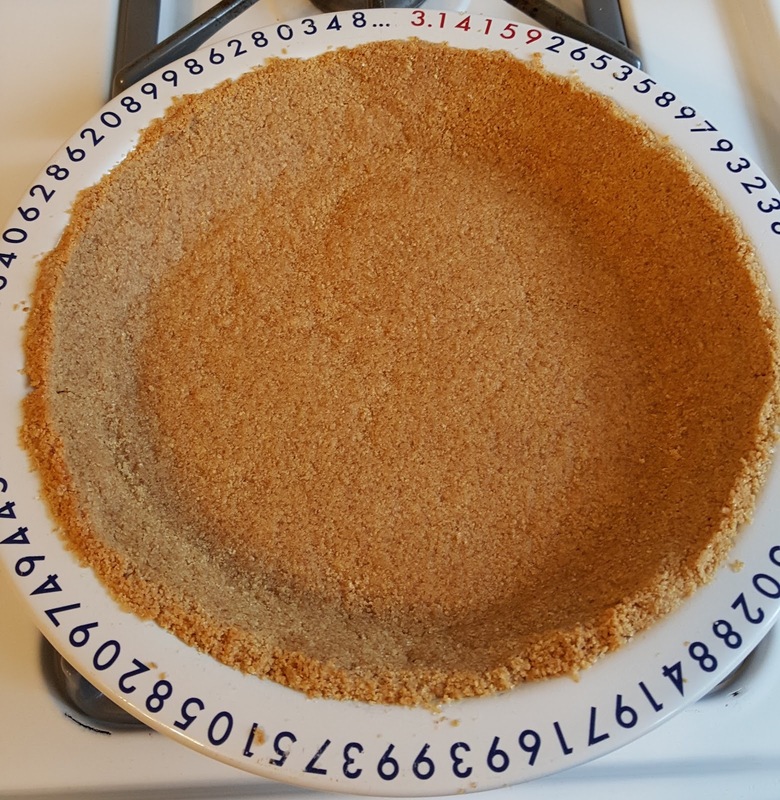 I Baked the pie at 360F/182C for 4π (~12.5) minutes. 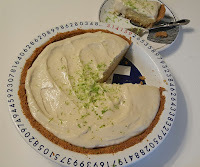 When it was done, it was mostly solidified just like a normal key lime pie. The insides were at about 120F/49C when it came out. It almost seemed like the agar wasn't necessary. 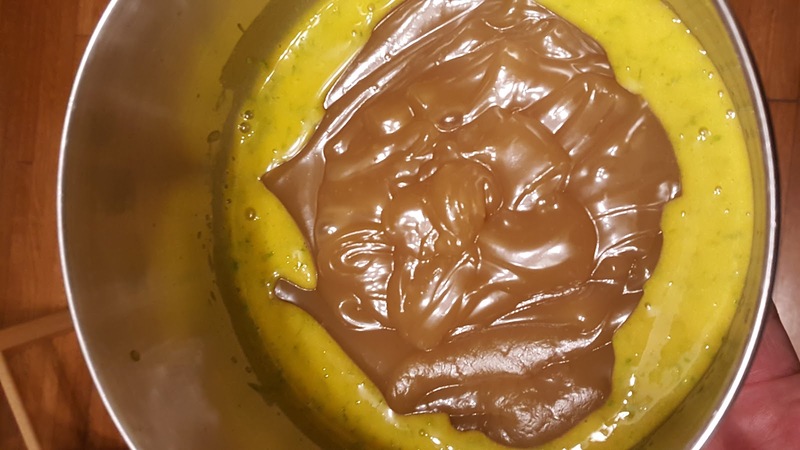 I wouldn't expect it to have been gelled at that hot of a temperature, so next time I would probably use less, if any, agar. It's quite possible the pH from the limes stopped the agar from doing anything at all. I haven't found a satisfactory whipped topping yet. The coconut cream whips taste like coconut, and they don't whip into peaks the way milk-based whip cream does. I have seen a few online that use tofu or soy products, but I'm not always keen on soy or its taste. I wanted to see if it was possible to get a chilled custard of cashew cream to whip into stiff peaks. I only had a little bit of raw cashews and aquafaba left, and I remembered that during a recent attempt to make ganache, I accidentally overheated the cashew cream by blending it for too long at high speed in the vitamix blender. This made the cream turn from a milk/cream consistency into a custard consistency. This was an attempt to see if I made that custard with extra fat, and cooled it, if it was possible to whip it up. I tried mixing in a handful of some powdered sugar and a capful of vanilla, and whipped it, but no luck. It just fell into the usual flat plant-based whips I'm used to. It also tasted slightly of aquafaba. It was still nice and sweet, so it offset the pie filling well enough, but next time I'll have to figure out a perfectly decadent whipped cream topping substitute that isn't meringue. Still perfectly yummy, though. There's no hint of aquafaba in the filling or crust, and no soy or coconut taste, either. All in all, I'd say it was a hit. Brilliant, as usual! And so detailed. Thank you! Trying to reach you for an article for the NYTimes about aquafaba. Can you email me so we can set up a time to talk? jane at janeblack dot net.